Each class meets once a fortnight in the form of a class council where they share ideas for school improvement. 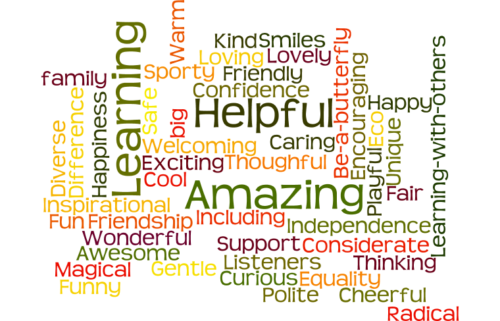 A nominated member of the class sits on the school council and brings these ideas for consideration. Therefore, the children have a clear voice in making the school better and a clear understanding that their opinions matter and they can make a real difference to the lives of others. Each year an election is held to vote in an Eco Councillor for each Junior class. An environmental audit is then carried out, by the children, on the school looking at a wide range of issues from energy to transport. An action plan is then drawn up for the coming year on the key issues the Council want to address. The council meets every other week focusing on the key points in their plan. Minutes are taken and the children regularly report back to their class and in assemblies. Significant changes have been implemented by the Council including being awarded the prestigious Green Flag. They have been extremely active in raising money for solar panels and are also involved in maintaining and improving the wildlife area. Children at St Luke’s enjoy a wide variety of learning experiences during their time here. Peer Tutoring is when an older child supports a younger child with their learning. 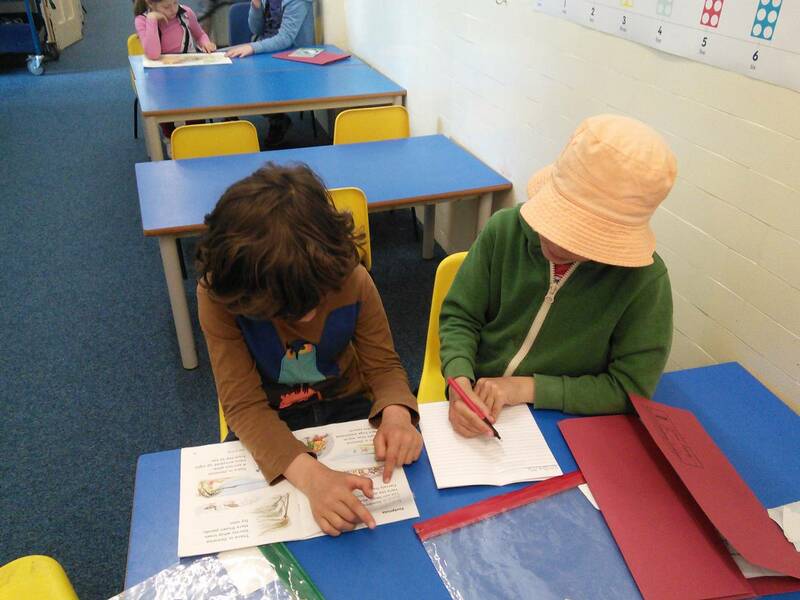 Currently, our Peer Tutors are year five children who support year three children with a story writing project. The tutors meet with their tutees twice a week and support them with the whole story writing process – from generating ideas, to choosing interesting vocabulary, composing sentences, to writing and editing their story together. At the end of this process the stories are published in book form for the younger children to keep and share with their class, friends and family. Peer Tutors complete two days of training where they learn how to tutor, how to listen and give positive, constructive feedback and about the process of learning. In supporting the younger children the Peer tutors reinforce their own knowledge and skills, which in turn builds on their self-confidence and self-esteem. Peer Tutoring also helps to develop children’s motivation to learn, encourages a positive attitude towards learning and builds positive relationships between children from different year groups. Our Buddy Reading programme gives the children in year four the opportunity to support key stage one children with their reading. The year four children have two days of training to prepare them for this role. During the training they learn about the giving positive, constructive feedback and explore how we learn. The reading buddies meet two or three times a week for six weeks. The older children support the younger children with decoding strategies, and engage in discussions about the books which helps to develop their vocabulary and reading comprehension. We are the Arts Ambassadors for St Luke’s. We do lots of art projects around the school, especially in the Infants. During lunchtime we plan activities and support infant children in expressing their thoughts through art including: drama; dance; singing; painting and drawing. We also hold drawing competitions throughout the year for the whole school. Please keep a look out for our exciting artwork around the school! The E-Team is a group of children who play a key role in promoting an understanding of equality and diversity across the school and in evaluating how well our policies, procedures and actions actually support these ideas. The play leaders are a group of Year 5 and 6 children who have decided to give up their own time to lead games and run challenges in the playground during the lunch hour. They meet weekly after school on Wednesdays to practise and devise activities for the playground. They present a trophy and certificates to the winners of the weekly playground challenge at the school assembly on Fridays.